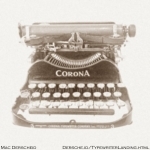 Mac Derscheid 1939 Corona Standard Serial # 2C228001 1939 Corona Standard typewriter, Serial # 2C228001 Mac Derscheid's 1939 Corona Standard typewriter. 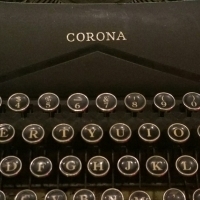 2016-12-10 2016-12-10 From the Virtual Typewriter Collection of Mac Derscheid: 1939 Corona Standard Serial # 2C228001 A nice machine, not perfect, but not much is wrong with it. Purchased on auction with Underwood 5 for $10 total (small town auctions have great deals!). Some wear, and a few scratches on side. Types fine. A nice machine, not perfect, but not much is wrong with it. Purchased on auction with Underwood 5 for $10 total (small town auctions have great deals!). Some wear, and a few scratches on side. Types fine. My first experience with a typewriter came when I was around 6 years old, every time I visited my grandmother I would go type on her Smith Corona electronic (wedge) typewriter. Back in early 2012, my mother stumbled across the USBTypewriter project, and I was hooked instantly. I quickly bought a kit, and in June 2012 I purchased the machine to be used with it: my beautiful late model Royal 10. Later that year as I stopped at an antique store, and found another machine: this time a Remington Rand Model 7. I thought I would buy just one more. Then later, one more. And then one more. Pretty soon I amassed around 30 machines, and that number is still growing today! I hope to get them all uploaded here soon so that I actually have a count on my typewriters, because I lost count long ago. 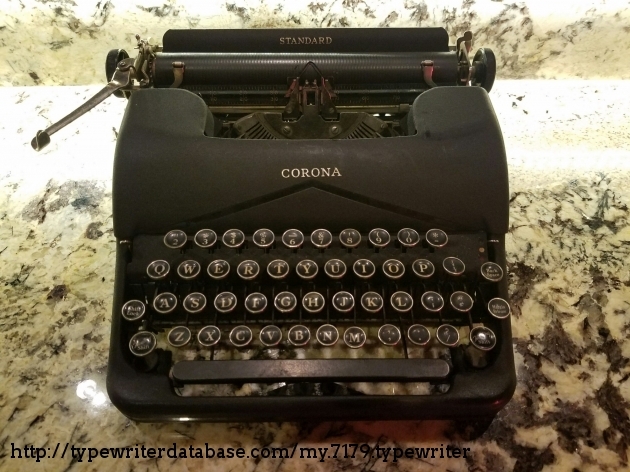 RESEARCH NOTE: When researching the Corona Standard on a computer with lots of screen real estate, you may find that launching the Corona Serial Number page and the Corona Standard By Model/Year/Serial page in new browser windows can give you interesting perspectives on changes throughout the model series. Crinkle LC Corona Standard Portable Typewriter With Case floating shift.